The product is compatible with the above mentioned model number.This Comguard replacement battery is made from high grade cells and highest quality parts. This Comguard brand replacement battery is 100 percent comparable to original battery in all terms including its size, appearance and most important quality. 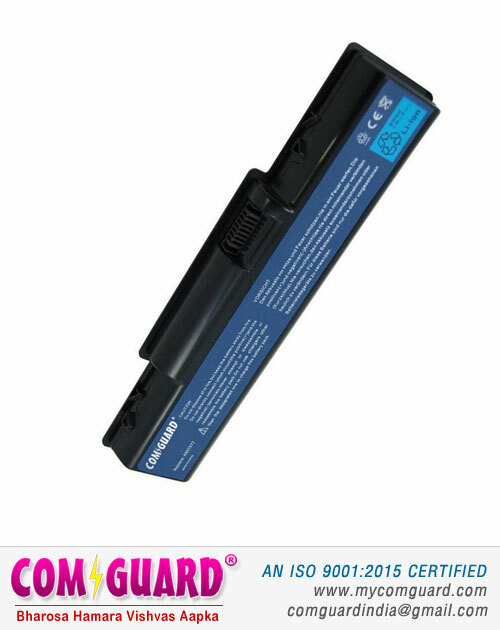 Each Comguard laptop battery has to pass strict quality control procedures including filtration and safety testing of voltage, capacity and battery core (body). Each battery also passes necessary authentication certifications like CE, ROHS etc. Before leaving the factory, so you can be rest assured for its quality, durability and performance. Please note that all images are indicative, actual product label may vary. Battery part No./model may not be printed on label. In case of doubt, the request can be raised at the company's customer support. © Copyright. Comguard. All Rights Reserved.